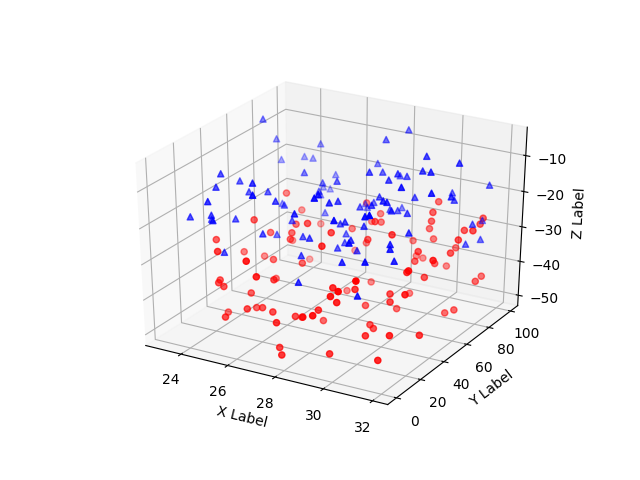 Demonstration of a basic scatterplot in 3D. with each number distributed Uniform(vmin, vmax). # defined by x in [23, 32], y in [0, 100], z in [zlow, zhigh].